The southernmost continent, Antarctica, underlying the South Pole, is an area that also includes all the territories located south of parallel 60º within nearly 4,500km diameter, spreads over 14 million km2 of surface and is almost totally covered by an ice sheet called “inlandsis”. In winter, ice barriers formed on the shores are confused with the continent, thus multiplying its surface. Ice travels from the center to the periphery ending at the sea, turning into icebergs that are carried north by the ocean currents. The continental section with least ice is the Antarctic Peninsula located in direction towards Argentina, and the closest to Tierra del Fuego. 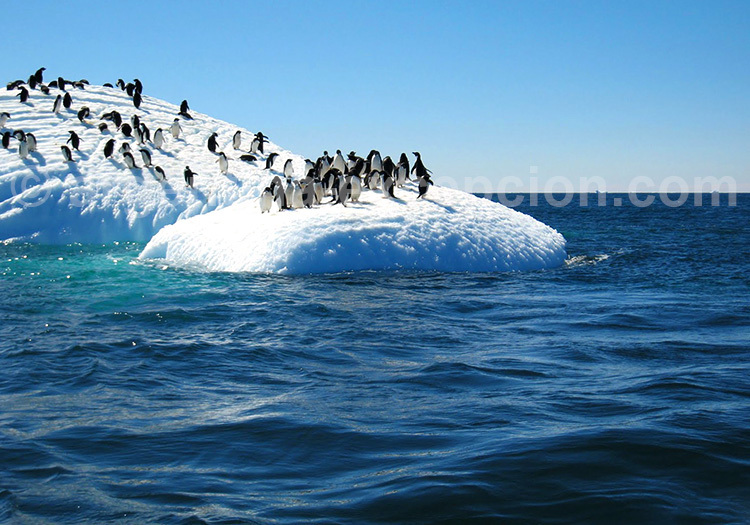 Antarctica has the highest elevation of all the continents with an average 2,000 m height, and the largest freshwater resource in the world (over 80%); strategically significant for the environment. he continent is surrounded by the Atlantic, Pacific, Indian oceans and several islands: South Shetland Islands, South Orkney Islands, islands of the Antarctic Peninsula, etc. It is located 1,000km away from South America. It is a huge ice desert with the coldest temperatures on Earth (-70 °C minimum in winter in the inland and 0 °C maximum in summer). The coldest temperature ever recorded was -89.2 °C. The strongest winters were recorded in Dumont d’Urville French station reaching 327 km/h! In January, the day lasts practically 24 hours, and 24 full hours in the summer solstice. Opposite, during the winter solstice, the sun does not rise on the entire day. The “ozone layer” has actually been measured in Antarctica. Since 1970, scientists have observed a zone where the ozone concentration decreases significantly from August to November. This decrease showed the lowest record in 2006 forcing Ushuaia inhabitants to protect from solar radiations which are no longer effectively filtered by the ozone layer. Scientists have identified some 3.8 billion-year old rocks in Antarctica, from a geological era in which the conditions for life to emerge were finally met. The continent started forming in the Jurassic era, 150-160 million years ago, after the dislocation of the Gondwana super-continent formed 600 million years ago. During the Cretaceous (80 million years ago), Antarctica came to locate in the center of the South Pole, but with a much less cold climate and, thus, it was covered by a dense vegetation. Antarctica started being covered by ice 37 million years ago, thus becoming the coldest and most deserted continent on Earth. The first ships approached Antarctica in the 17th century, but it was not until 1772-1775 that a man, English Capitan James Cook, was able to sail around the continent without even noticing. In the 19th century, seal hunters were those who ventured to the South. 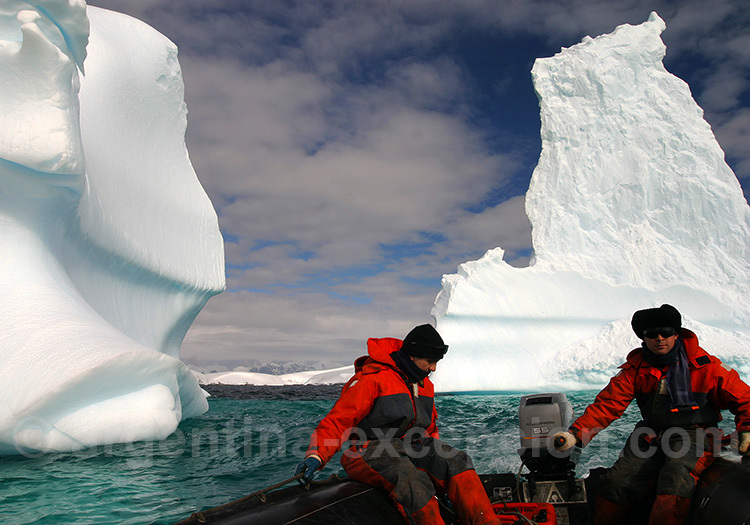 Between 1895 and 1920 many scientific expeditions to the South Pole were conducted. Norwegian Roald Amundsen was the first to set foot on Antarctica in 1911. Those were heroic expeditions that thrived in extreme weather conditions of cold and wind (200 km/h) with low-performance equipment. It was not until the appearance of snow vehicles that the continent could be crossed over by land in 1957-1958; a trip that took around three months. The extreme weather of the Antarctic continent does not permit any dense or diverse vegetation to grow, only lichens and moss survive. 55 million years ago, when Antarctica was located northern and temperatures there were lower, this territory was all covered by forests, and its vegetation and fauna were similar to that currently existing in Tierra del Fuego. However, marine fauna is abundant on its shores. Among marine mammals, whales, dolphins, killer whales, and seals come in search of abundant krill. Several birds come to its shores before departing north in the fall: Magellanic penguins, albatrosses, cormorants, petrels, Antarctic pigeons, etc. Penguins are specially abundant, with colonies that may exceed 150,000 species: Adelie penguins, Chinstrap penguins, Gentoo penguins, and amazing Emperor penguins, only existing in Antarctica and the biggest of all, easily recognizable for the orange spots on their neck. 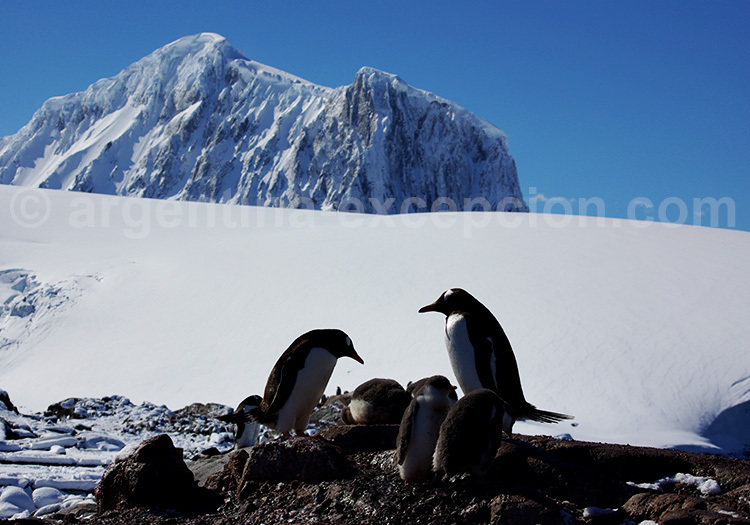 On December 1, 1969, South Africa, Argentina, Australia, Belgium, Chile, The United States of America, French, Japan, Norway, New Zealand, the United Kingdom and the Soviet Union signed the Antarctic Treaty, in force since 1961, afterwards followed by other signatories. The goal of the treaty is to protect, for the wellbeing of the entire humanity, this white continent where any kind of military or nuclear activity is forbidden and encourage scientific research. There are also several conventions established for the broad protection of the flora, fauna, and environment. 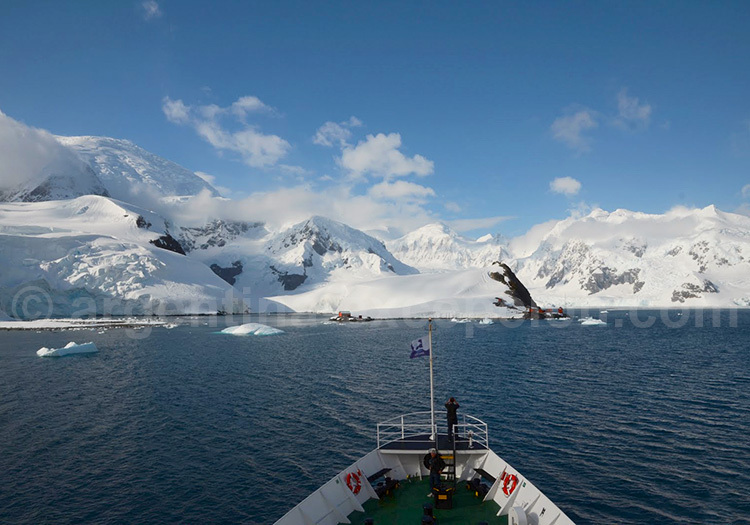 Antarctica has then been designated a “natural reserve devoted to peace and science”. This treaty supersedes any territory claims, among others, from Argentina. 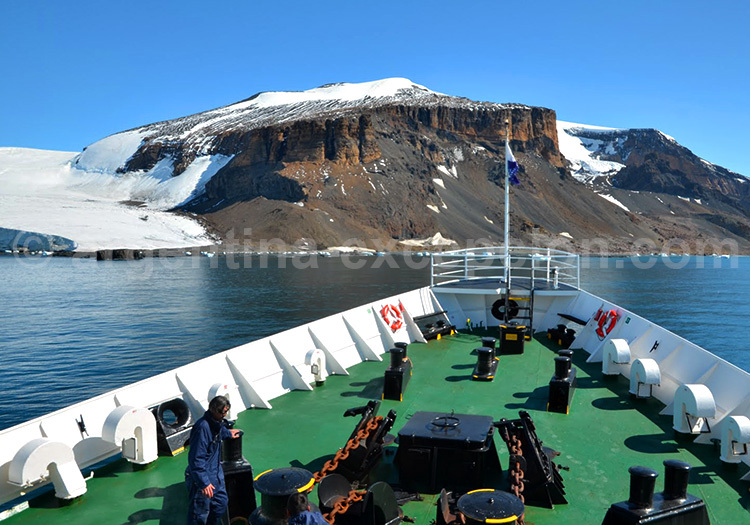 Antarctica has hundreds of scientific stations from 20 countries, with a thousand people in winter and ten times more in summer. Seven countries have territorial claims on the continent: Argentina, Chile, Australia, New Zealand, France (Terre Adélie), Norway, and the United Kingdom. studies. The first landing lane was built at the Marambio station, thus putting and end to isolation. Argentine stations are stocked up all year long by the planes that land on that station. 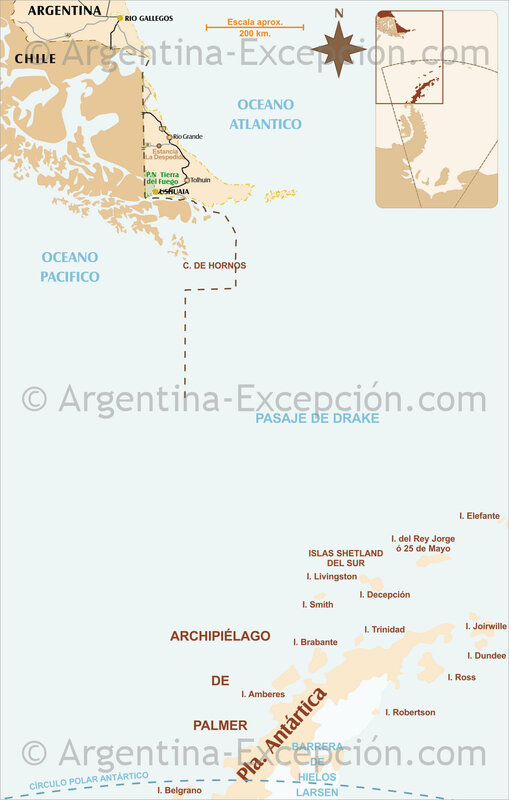 The full name of the province of Tierra del Fuego is: Tierra del Fuego, Antarctica and South Atlantic Islands and includes all the territories claimed by Argentina and that are fully or partially the same as those claimed by Chile and the United Kingdom. 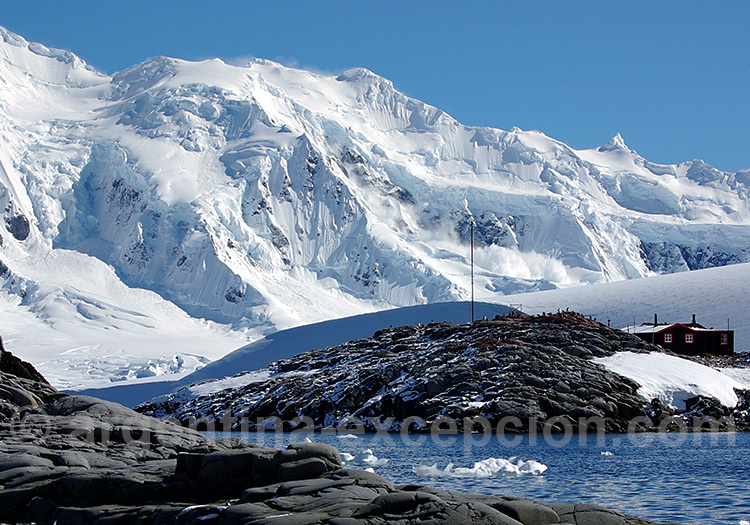 The portion of Antarctica claimed by Chile is the 12th Region of Magallanes and Chilean Antarctica. The Chilean Administration keeps 5 permanent and 10 temporary stations there. 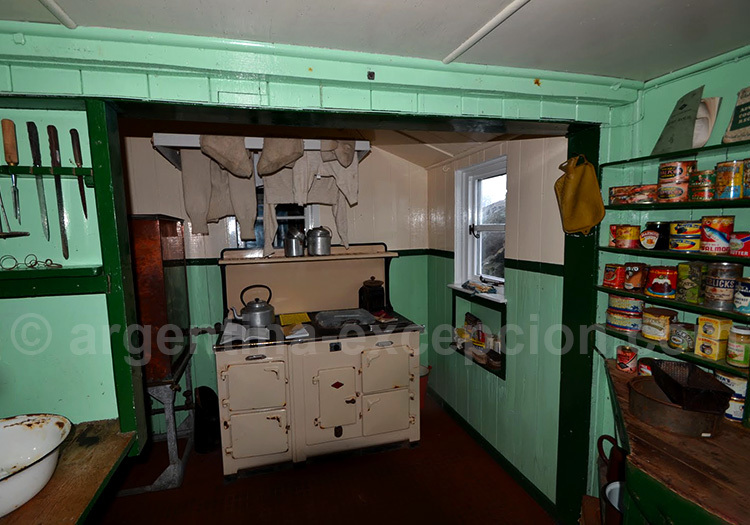 The first one, Sovereign (currently Arturo Prat) was set up in 1947. 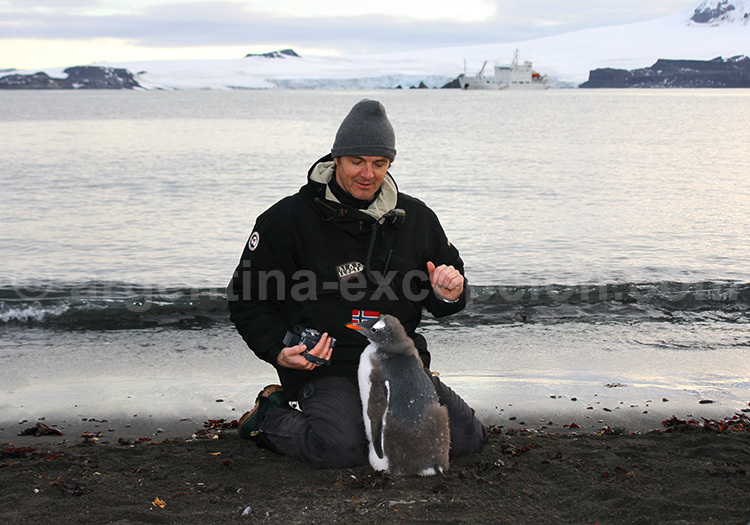 The most significant are Presidente Eduardo Frei Montalva and Villa las Estrellas, on King George Island, the largest within the South Shetland Archipelago. This station has a landing lane, a hospital, a school, etc. 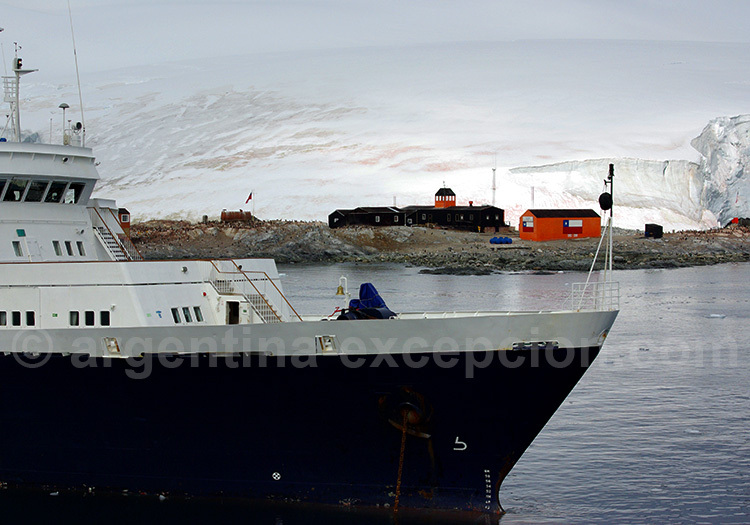 Chilean activities on the continent are administered by the Chilean Antarctic Institute. 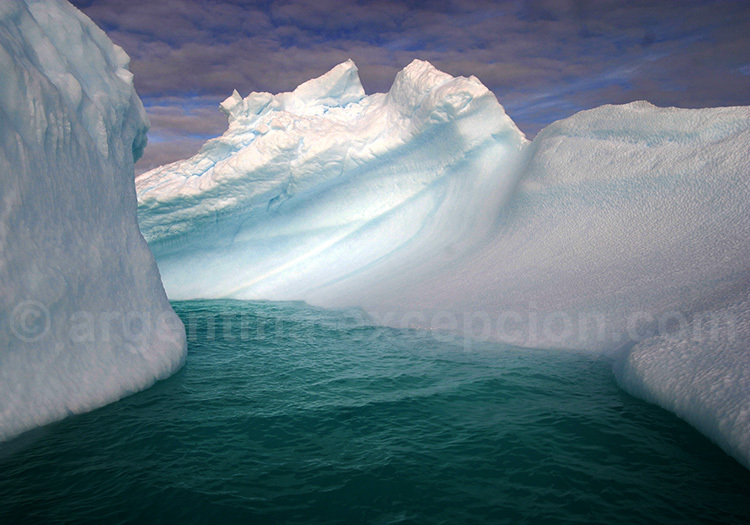 At present, there are over 30,000 visitors coming to Antarctica. Tourism on the continent has increased significantly in the las years. In 1991, an international association of tour operators has been set up in Antarctica to promote sustainable and respectful tourism. Most tourists come on cruises in the pole summer towards the peninsula, the closest to South America, and milder as to weather and richer as to fauna. Besides marine species watching, in general, passengers may disembark to take a look around and, certainly, admire the breathtaking one-in-a-kind landscapes, and even venture into scuba diving and kayaking. Should you have at least ten days and the proper budget available, you may go around the continent: a unique experience. Ushuaia, located just 1,000 km away and at two-day trip from Antarctica, is quite of a privileged access point. At Ushuaia’s port, you may check out departure schedule, season permitting, from mid-November to March. From Punta Arenas, Aerovías DAP flies to Presidente Eduardo Frei Montalva, where you can spend the night to departure on the following day. See our page: When to go to Argentina.